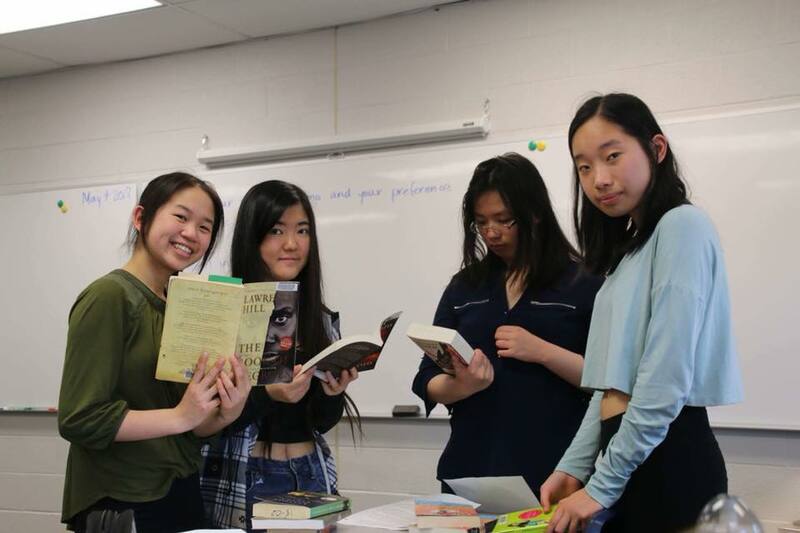 This week, the grade 10 English students chose from a selection of various novels written by Canadian authors. They will be reading, annotating, and analyzing their novels for an upcoming assignment. This week, the grade 10 history students began their journey into the 1960s. 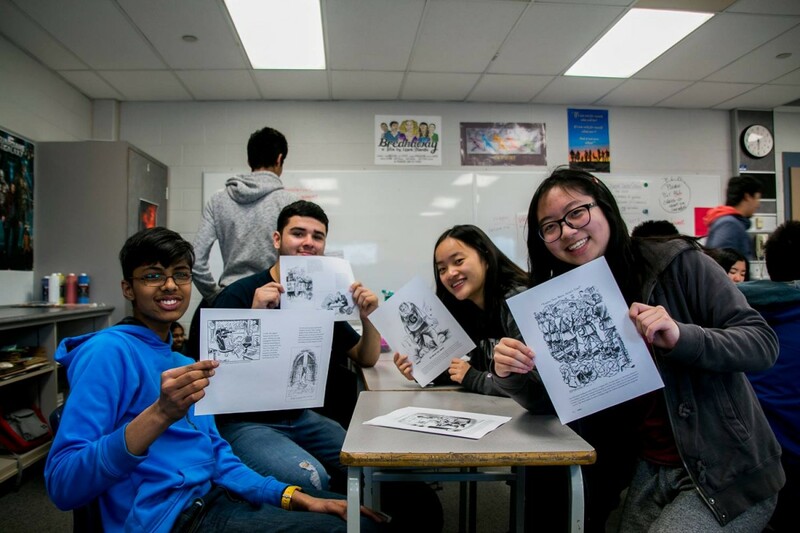 They studied various political cartoons from the sixties and examined how they reflect the general perceptions of the world that were held at the time. Students also analyzed themes within the cartoons such as civil rights and the Cold War. This week, the grade 10 science students completed their first unit. Ms. Hermanovsky’s class gained a better understanding of chemistry through hands-on lab experiments. 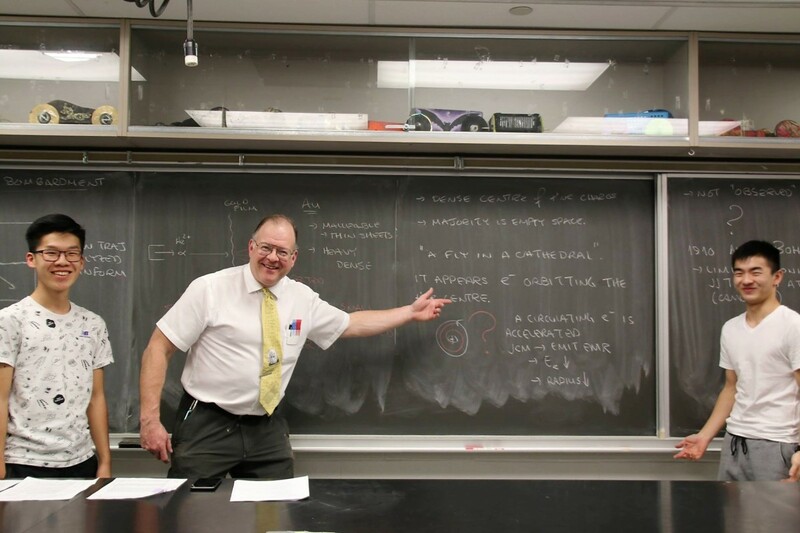 Mr. van Bemmel’s class enjoyed lectures about the history of science, including how scientists discovered the speed and determined the nature of light. The grade 10 history students began presenting their projects on World War II. 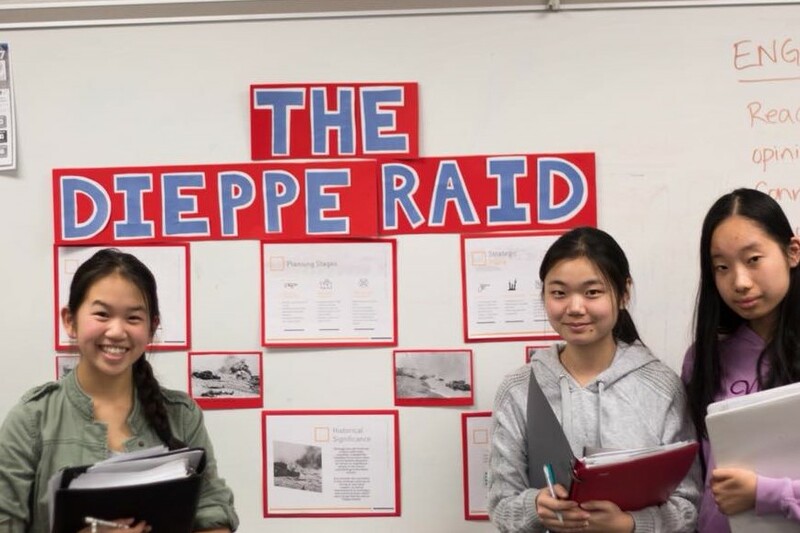 Students got into groups and were assigned with the task of teaching the class a specific topic about the war and creating a worksheet to test their classmates’ knowledge.